Easy prime kit for fitting to the 3/8" female threaded pump head of your pressure washer. These kits are used to ease the pressure in the line enabling you to start a pull start engine more easily and also to release the air from the high pressure side of the pump. 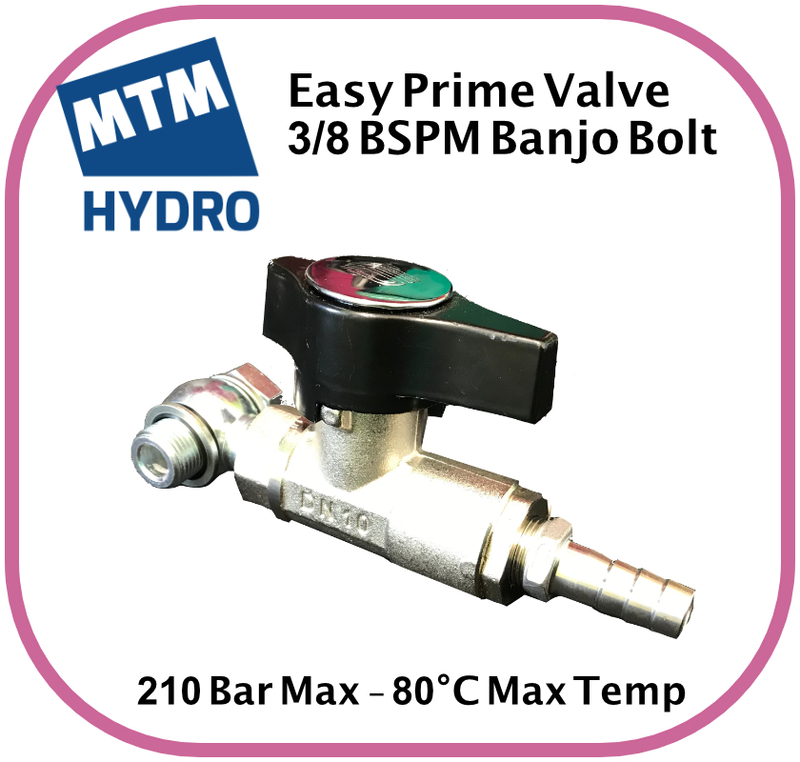 Once the air and a little water has been ejected from the easy prime valve the valve can be closed and your high pressure hose and lance will be ready to use with no need to hold the trigger open as the pump primes.